*Today or tomorrow guarantee is good Monday through Friday, 8 a.m.-5 p.m., excluding holidays, in the St. Louis metro area. Maximum of $100 in service credits will be offered if we can't shred today or tomorrow. Client is welcome to schedule for later dates if they prefer. Do You Need Shredding Service Right Now? Do you need to shred a lot or little RIGHT NOW? Do you need service at your business, home, office or self storage unit? Do You Need Recurring, Scheduled Service? Do you need affordable, scheduled, compliant shredding at your office, practice or business, at a Fortune-100 level of service? Do You Need to Drop Off Your Shredding? Would you rather set an appointment to drop off your files to be shredded at our secure facility and save on your shredding costs? Do you need physical destruction, not just degaussing, for your backup tapes, hard drives and other digital media? 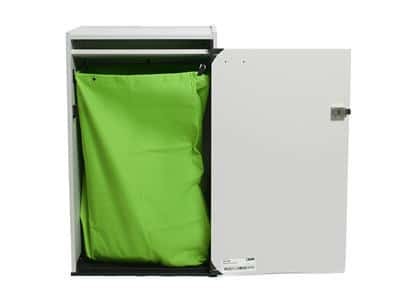 The best way for your office, business, practice or clinic to stay protected from data breaches and compliance violations AT ALL TIMES is to have The Shred Truck's locked, secure consoles and bins in your office for daily use. We'll shred your confidential documents according to a set schedule that fits your unique needs. There is NEVER a charge to start the service or to rent the equipment. We only charge for the shredding service we provide. We always shred right outside your door in accordance with NAID AAA Certification requirements. Need to Start Service Today? 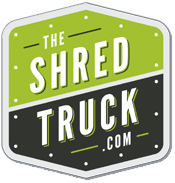 GET 1 MONTH OF SHREDDING FREE plus a great deal on a purge job today when you start Recurring Scheduled Shredding Service with The Shred Truck. No long term contract required; just 100% reliable service and great rates. The Shred Truck is Your Local "Near Me" Secure Paper Document Shredding and Recycling Company in St. Louis and the surrounding areas of Missouri and Illinois . Call 314-729-9200 for Prompt, Reliable Shredding Service Today! Do You Have Paper Files, Charts, Records & Documents that Need Shredding? Working together with our customers, we securely shred and recycle following Federal and State laws, regulations and guidelines with a focus on protecting your identity and our environment. We are NAID AAA Certified and able to tailor our shredding services to meet your specific needs. Our staff members are committed to professionalism, operational excellence, and total information security. Whether you're in downtown St. Louis, the suburbs, or another nearby town, we're here to serve you. Do You Have Hard Drives, Backup Tapes, and Other Digital Data That Needs Protection? 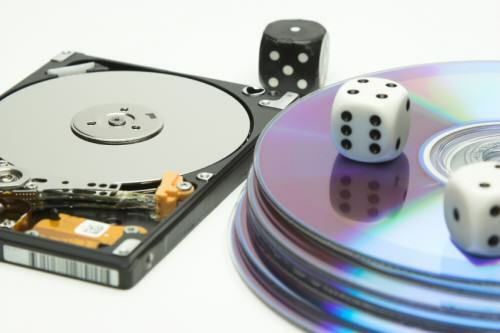 Don't "roll the dice" by only deleting files or degaussing tapes and hoping a data thief never finds them and recovers those files. The only true defense against a data breach is secure, physical destruction followed by e-waste recycling. Don't be fooled by community e-waste drives; they are not actually destroying your data. Much of what you bring is simply re-sold and put directly into the public's hands to use! Remove your hard drives and have them shredded by NAID AAA Certified professionals like The Shred Truck.